Thanks so much for visiting our online parts store. Our team is excited to provide you with an impeccable online shopping experience and remains available to assist at any time. If you have questions, comments or concerns about your order or the content found within this website, please feel free to contact us via telephone or email and one of our experienced team members will get back to you right away. Again, thanks for visiting our store and we look forward to serving you in the future. JD North America is a global manufacturer and distributor of outdoor power equipment. Founded in 2005, JD North America began marketing products in the North American markets to large retailers as well as independent dealers. 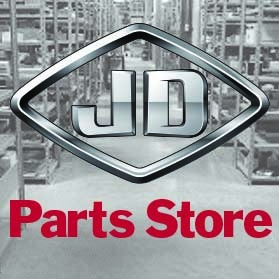 With over 6 million square feet of global manufacturing space, JD North America and partner factories produce a wide variety of products including horizontal, vertical and snow engines, gas power and propane power generators, pressure washers, water pumps and other small engine equipment. JD North America is a global company with a national headquarters in Charlotte, North Carolina. Distribution warehouses are located across the continent including locations in North Carolina, Toronto Canada, and Puerto Rico. JD North America prides ourselves in our independent research and development efforts. Many of our products bear the symbols of Underwriters Laboratories, Inc. (UL) or Canadian Standards Association (CSA) as a testament to their quality standards. Our gasoline powered products, as well as our propane powered products, meet EPA (Environmental Protection Agency) and/or C.A.R.B. (California Air Resource Board) requirements. JD North America’s product line is covered by an expansive service network. Our service centers and repair facilities will repair the products both during the manufacturer’s warranty as well as after the warranty has expired. Our service centers will keep your products operating in top condition for many years of reliable service. JD North America would not exist without our loyal customer base. We continually strive to meet and exceed your expectations. Our management, sales, customer service, and sales support teams are completely dedicated to customer satisfaction, long-term relationships, and providing the most complete and professional service possible. Our customers come first and foremost, and each and every person at JD North America will stop at nothing short of meeting all needs and requirements of our business partners.